Did Alexis Sanchez impress Solskjaer during United's loss to Barcelona? Manchester United were outclassed and outplayed by Barcelona at Camp Nou on Tuesday and this 3-0 loss was indeed a big eye opener for Solskjaer as well as the fans. 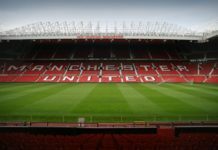 During the past couple of months, United have been on the up but this loss to Barcelona has brought the reality back at Old Trafford indicating to the very fact that Solskjaer still needs to work really hard in order to compete with the best in Europe. But speaking after the match, the Norwegian had revealed that Alexis Sanchez had a good run-in and the Chilean might just be helpful for the remainder of the season. Alexis Sanchez was making a comeback to the first-team squad after a couple of weeks, and Solskjaer chose to bring him on with about 10 minutes left on the clock. The forward replaced Jesse Lingard and despite this being his first game after a big injury, Alexis Sanchez looked pretty sharp. “Alexis has been injured now since March 1,” Solskjaer said. This season, Alexis Sanchez has fallen down the pecking order after having netted just two goals in 24 games for Manchester United during the 2018-19 season. The former Arsenal man has not been able to make any sort of positive impact at the club ever since his move and now multiple reports are certain that Alexis Sanchez will be sold off during the summer transfer window. 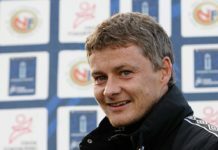 Now that Man United have been knocked out of the Champions League, Solskjaer’s men will only have to play just five games until the end of the season. And despite all the talent that Sanchez has, it should be nearly impossible for him to revive his United career in such a short time span. Previous article4-3-3 Liverpool’s predicted line-up vs Porto: Klopp to make a number of changes? Next articleHas the appointment of Ole Solskjaer really been a bad decision by Ed Woodward?